As a beauty and health professional, I get all types of questions form our guests about what I think about botox, lasers and potential natural alternatives. While I am not here to position my opinion (every case is personal and individual), I thought this podcast would help add to the conversation on botox, skin health and "aging" tactics. This episode explores the question of how we can maintain a naturally youthful look as we get older. Brett — a New York City oculofacial plastic surgeon who specializes in both non-surgical and surgical cosmetic and reconstructive procedures of the eyes and face — shares some remarkably practical advice on everything from the most extensive procedural options, down to the simple steps one can do themselves, starting today, that can make a tremendous impact. Check out this podcast hosted by Peter Attia showcasing Brett Kotlus, MD. I've also left the show notes to skim through the chit chat. Dont miss our awesome discount below to get started NOW on healthy, long term aging to cover all the fundamental levels of the dermis and its critical regenerative abilities. You can find all show notes and the PODCAST HERE. On a professional level in the skin industry, it's a delight to see Brett commenting on UV protection, the power of the RIGHT kind of vitamin C (although I much prefer C-Ester due to it being enveloped in fatty acids to travel deep and deliver), and more education on the great tactics of Platelet-rich Plasma (PRP). Really, the critical piece to capture on healthy aging come down to drinking plenty of water, quality nutrition, fresh air with doses of healthy sun, moving our body for detoxification and ridding old negative thought patterns. In closing, here are my top HIGH POWERED skin solutions with levels of actives need for true skin transformation - when used consistently. I'm OFFERING a limited time discount to get you started. 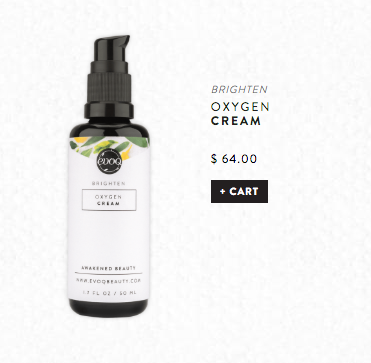 ENTER ' GREATSKIN ' and you'll receive 15% off your order! Works to slough away dull epidermal cells and reveal a brighter, more luminous complexion. Infuses skin with essential minerals and trace elements needed for healthy skin. Protects skin from everyday toxins and promotes cell renewal, while soothing dryness, dermatitis, eczema, and psoriasis with Vitamins A and E.
educes skin discoloration by inhibiting the transfer of melanosomes, which can create dark spots. Gently brighten skin to reduce dark spots and scars, and regulates oil production. Plant­ based stem cell extracts stimulate cellular turnover, giving skin a younger, fresher look and feel. Locks in moisture to plump up wrinkles, leaving skin looking firmer, and helping to diminish the appearance of fine lines. An anti­-inflammatory extract of algae that reduces redness and calms irritated skin. Natural acids increase cell turnover to support fresher, younger, smoother looking skin. Patented Sea Retinol visibly smoothes wrinkles and creates a radiant complexion. Decreases the look of fine lines and wrinkles by increasing skin’s volume and improves the look of dark circles over time. Reduces visibility of skin damage by eliminating free radicals that increase the risk of skin cancer. Safe for the whole family. 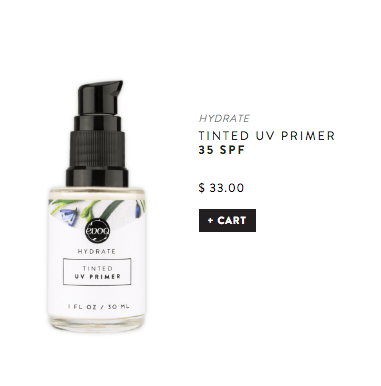 Traditional sunscreens block natural intake of vitamin D but our Primer is infused with it to offset what your skin doesn’t take in on its own. ­Naturally a UV absorbent, it reduces the appearance of wrinkles and lightens dark, under­eye circles and scars.